Bring your furry friends to downtown Rogers as you shop and dine on the bricks! We know how important your dogs are to you. Load them up and bring them on your next adventure to downtown Rogers. Many businesses, shops, and restaurants in downtown will allow your pets in their establishments. Several shops even have water and treats ready for their pet visitors. While downtown, hop over to the Railyard Bike Park where you will find two dog parks, fenced in, for your pets to play and meet new friends. 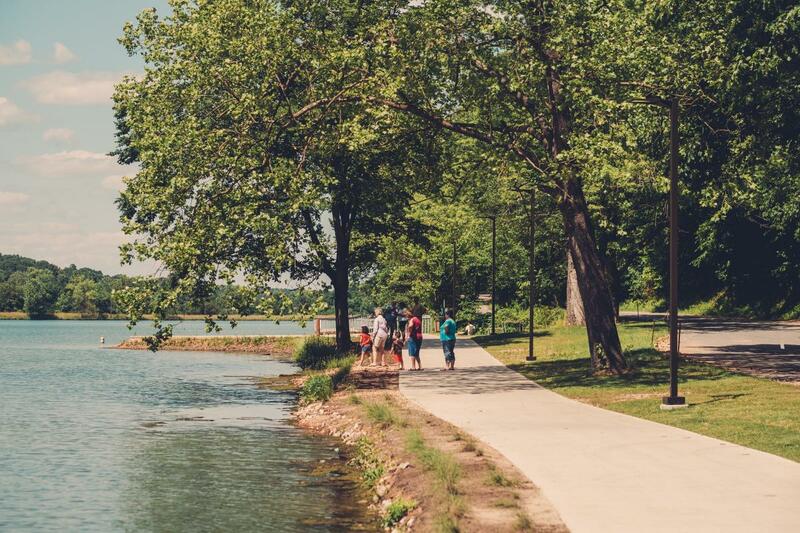 Then, head to Lake Atalanta for a stroll around the lake. Remember, Rogers has a Leash Law, so make sure your pets are on a leash at all times.